in the 100m medley, Olympic Bronze Medalist. Feel confidence like never before at starts with a selection of diopters from -1 to -9. Choose the optic strength of the lens for each individual eye. Spectacular men's black training LOOK or light women's LOOK in pink tones - Mad Wave specialists will help you feel confident during trainings and holidays at the pool! Mad Wave's DRAG CHUTE is the ideal choice for improving your upper body strength and stamina when training in the pool. Designed with an adjustable mouth to provide you with varying resistance levels, the DRAG SHUTEs cord combines both durability and stretchiness to ensure maximum safety for the swimmers spine. The model also features a handy float to prevent interference in kick motion. The trainer is compatible with all swimming strokes. Handy float prevents interference in kick motion. Our ERGO PADDLES will provide you with excellent hydrodynamic properties and durability, helping you build upper body strength and improve your stroke technique. The unique ergonomic shape with smooth elastic bands will ensure a safe, convenient training experience by allowing you to perform with maximum comfort, even during long training sessions at the pool, and preventing the risk of traumatizing other swimmers in the pool. The model features an adjustable strap for the perfect fit. 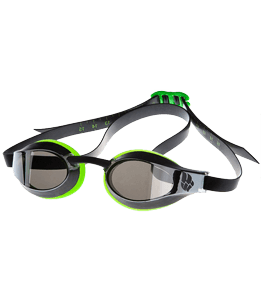 Professional swimming goggles for competitions. FINA Approved. Start suits with unique advanced technologies. An International company that produces goods for swimming.